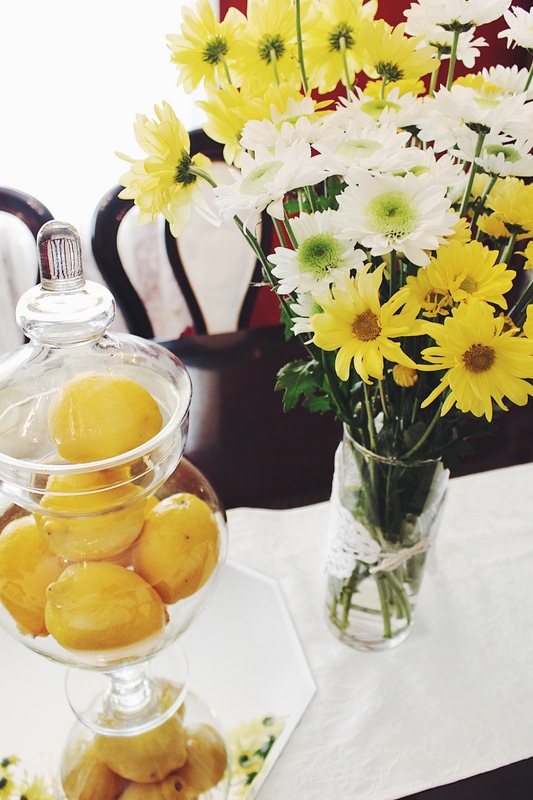 There is nothing prettier than some fresh blooms as a centerpiece! 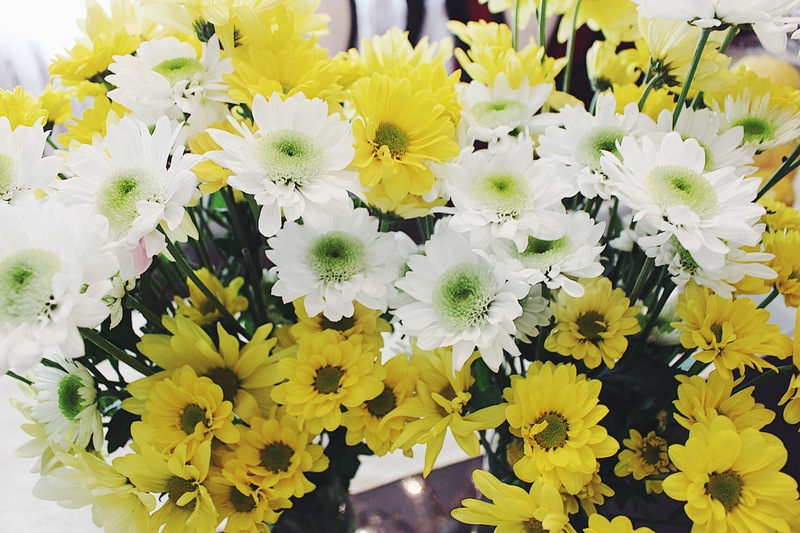 Fresh flowers are definitely my favorite accessory to dress up any area. When I think of spring centerpieces, I think bright colors. 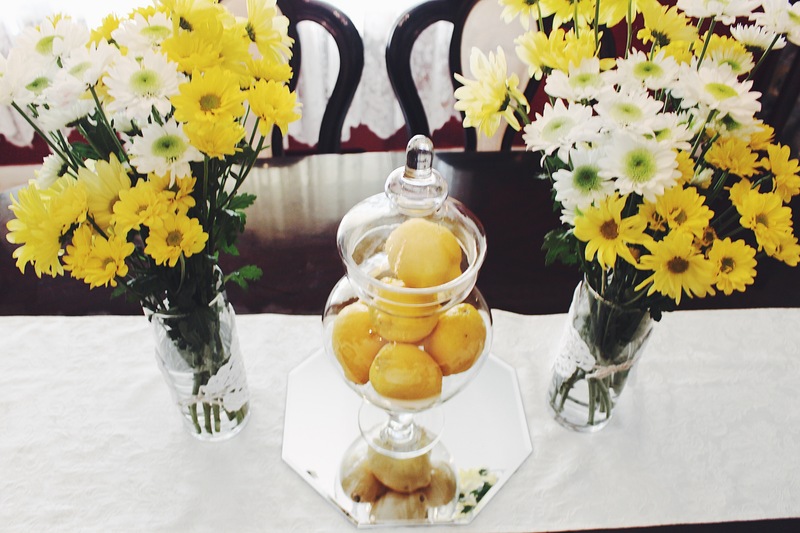 I wanted to decorate my dining room table so I used fresh flowers, and some lemons. I think these centerpieces turned out so cute and really bring some great spring color and feel into the room. With just a few items needed, you can decorate an area of your space with this DIY centerpiece idea as well. 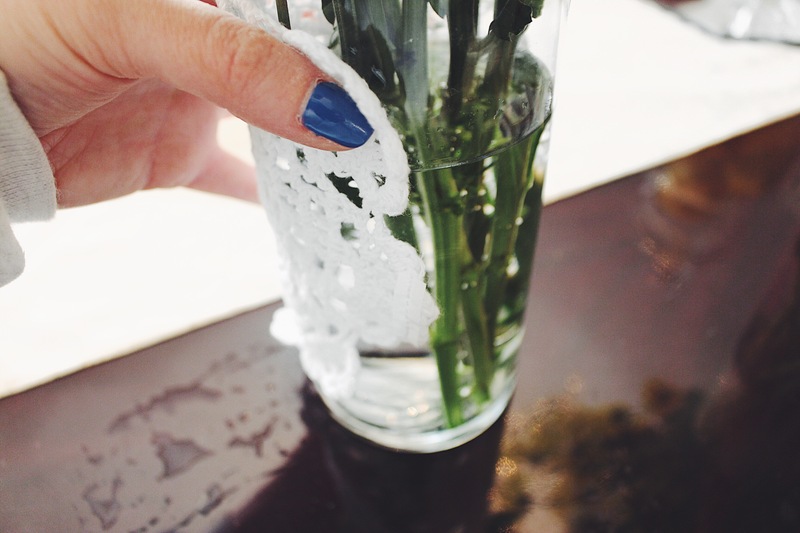 Remove any stickers from the vases and jar, then wash with soap and water. 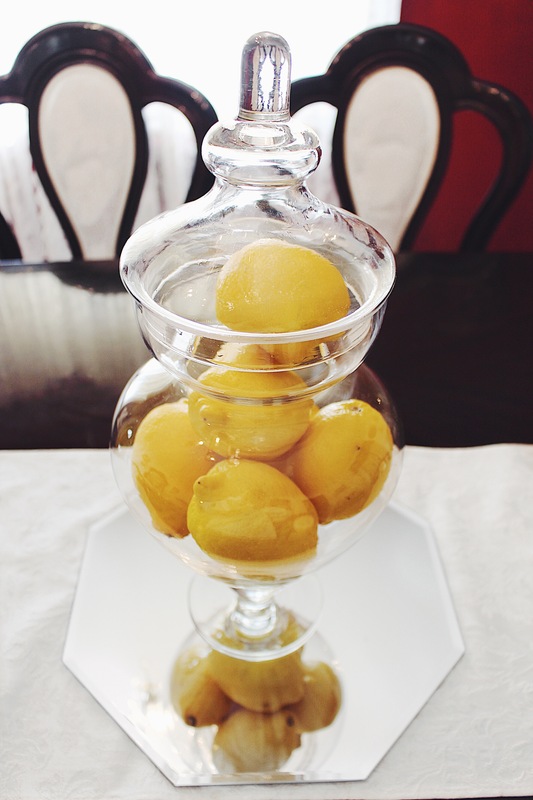 Place your lemons into the large apothecary glass jar and center on your table (I placed mine onto the mirrored glass plate). 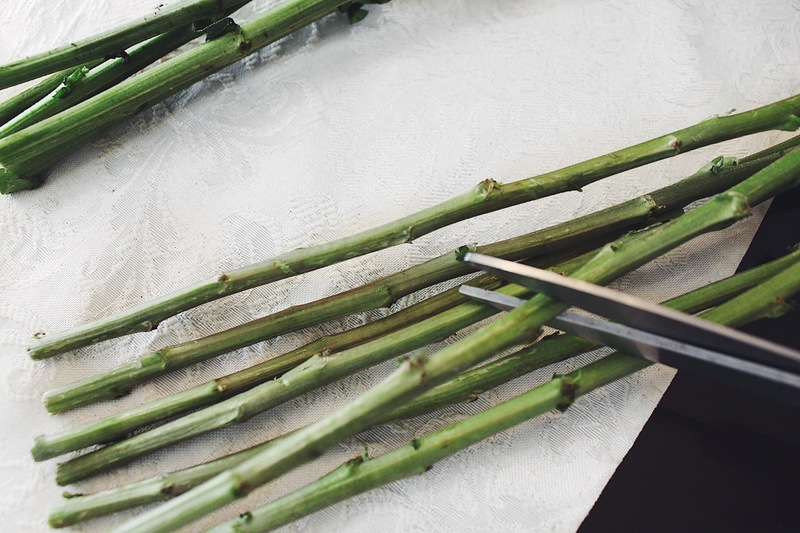 Cut the stems of your flowers and arrange how you’d like into the 2 vases. 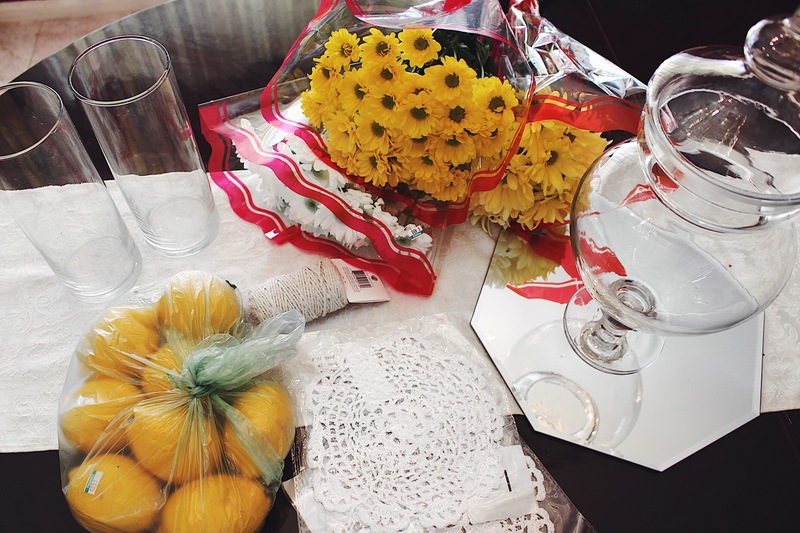 Take your doilies and wrap around the vases. 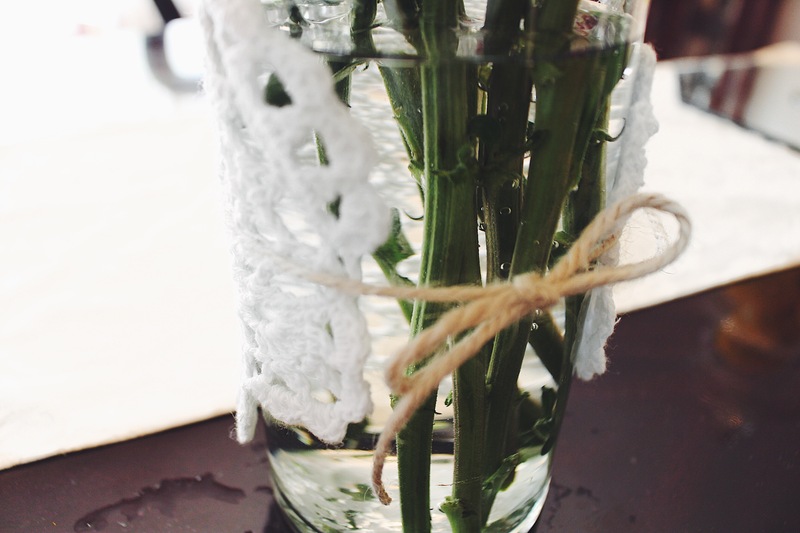 Then, take your twine and tie it around the doily section to secure them from falling. Place your flowers on both sides of the apothecary jar. 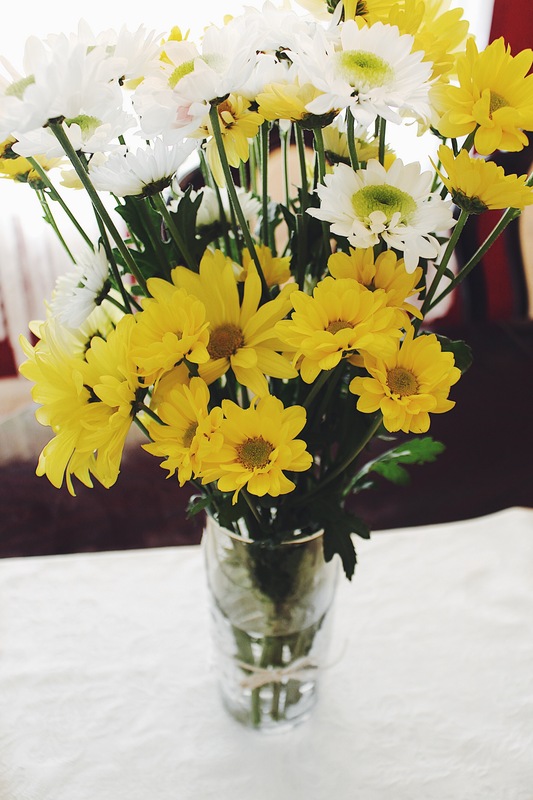 Now you have a beautiful spring centerpiece arrangement! I love how this turned out. It instantly adds more color and spring feels into my living room! It’s the little things that make us happy right? The best part is that each of these items look great alone too if you just want one centerpiece.